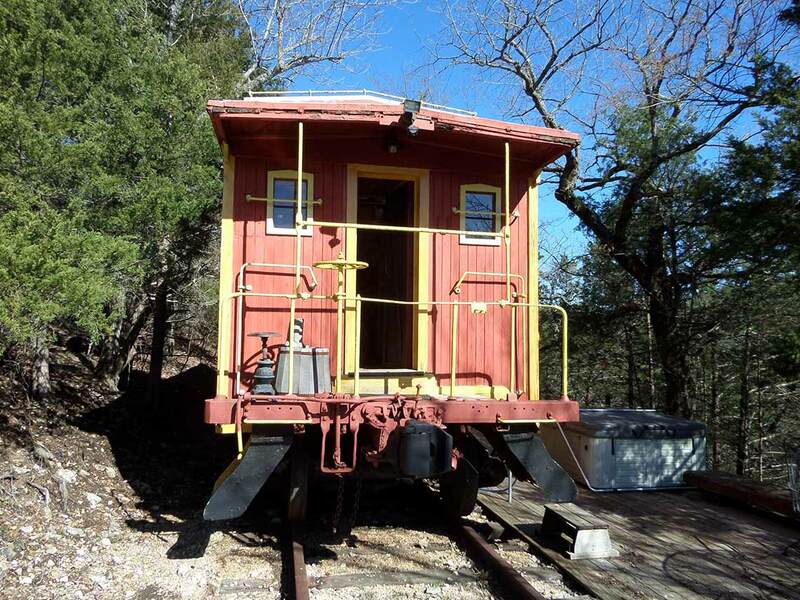 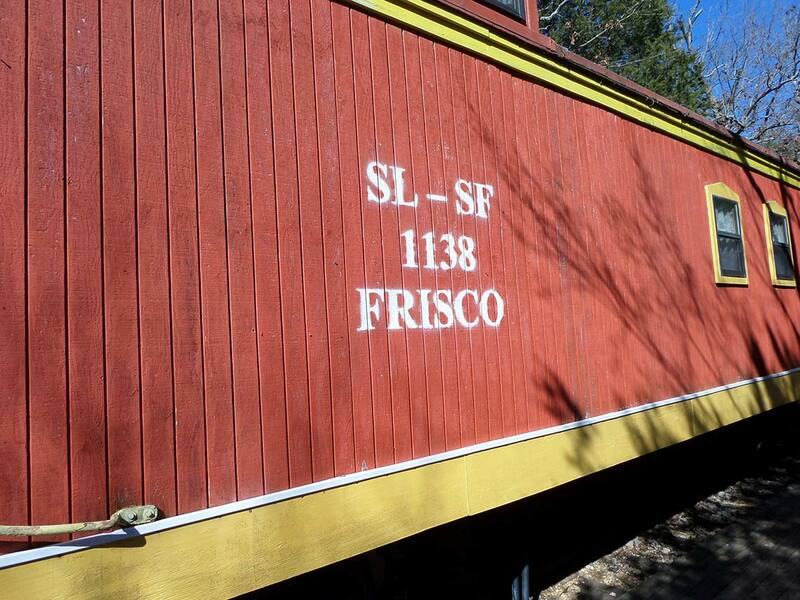 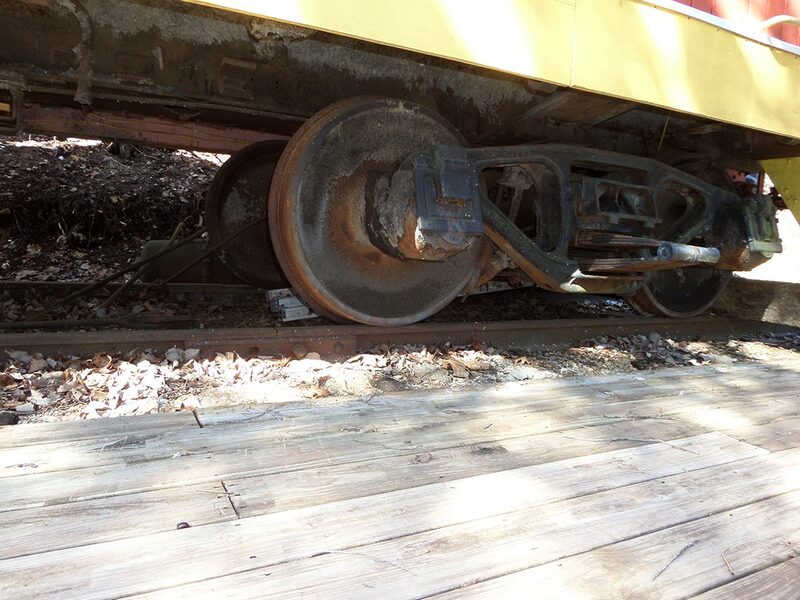 This Caboose Cabin is set up on the rails, just as it was when it was rolling across the American countryside. 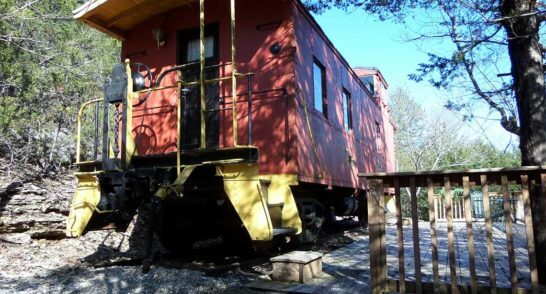 You will find the Caboose furnished with a Full/Double Bed, Kitchenette, (coffee maker, microwave, and small refrigerator). 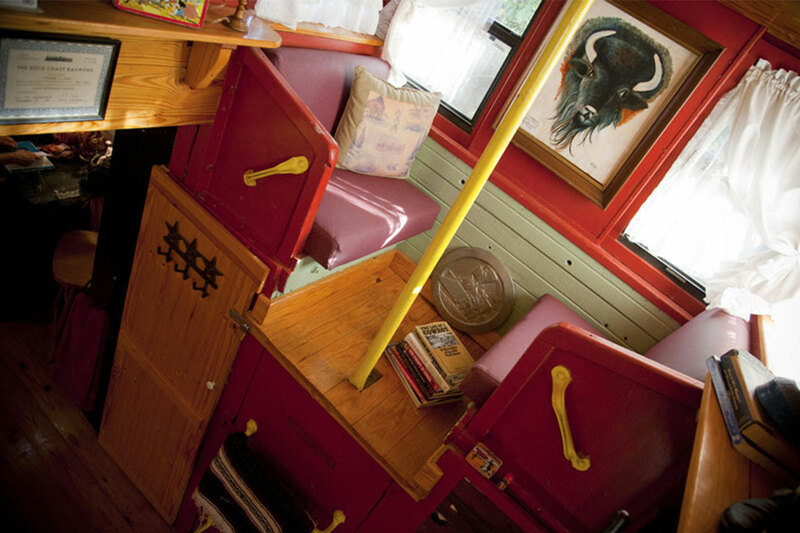 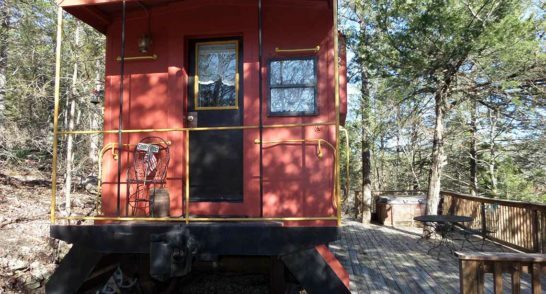 The décor of this Caboose Cabin is an old west theme inside. 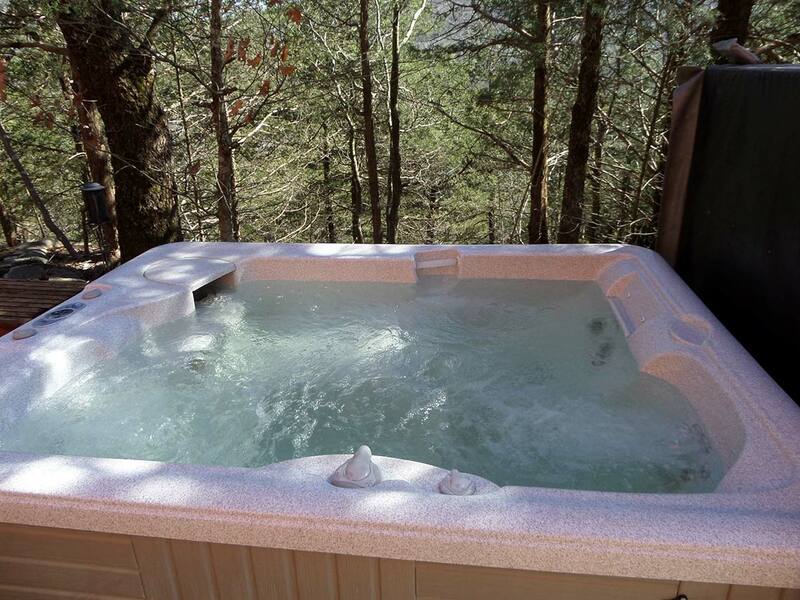 Outside, you will be able to relax on the spacious deck. 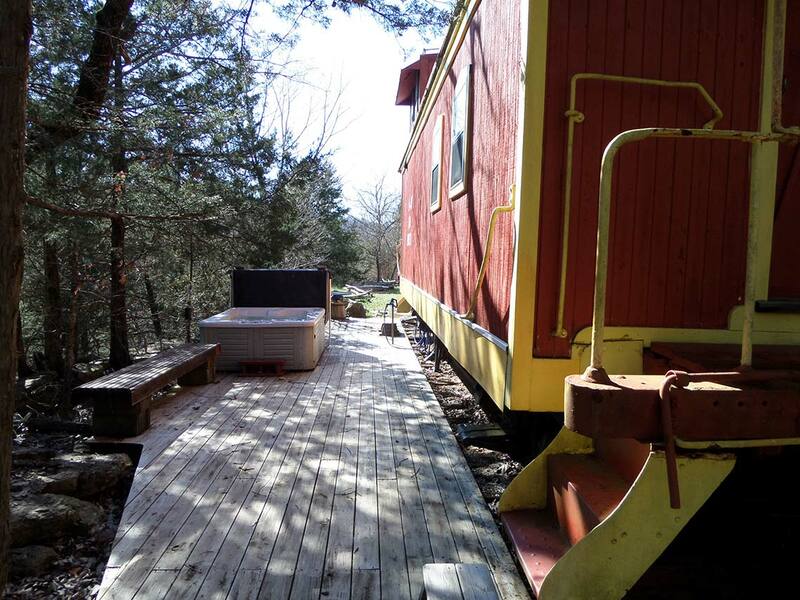 The deck is shaded and secluded. 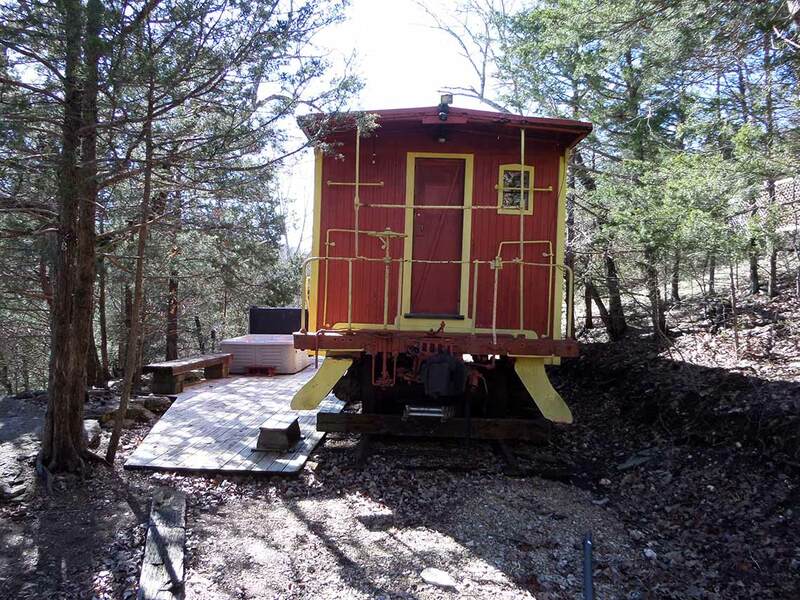 Wooded views surround the Caboose, providing privacy and creating an intimate setting. 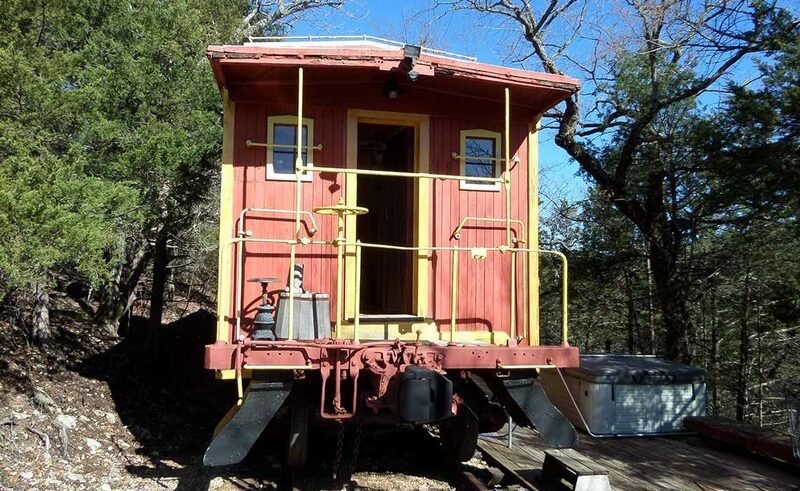 The experience of relaxing in the hot tub in the evening next to your caboose in the Arkansas wilderness is one that you will never forget. 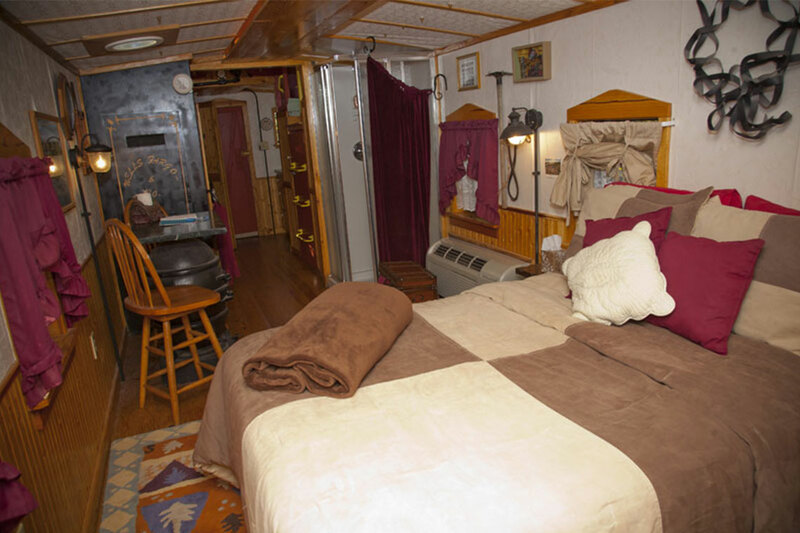 Note – Wifi and Cable TV is not provided. 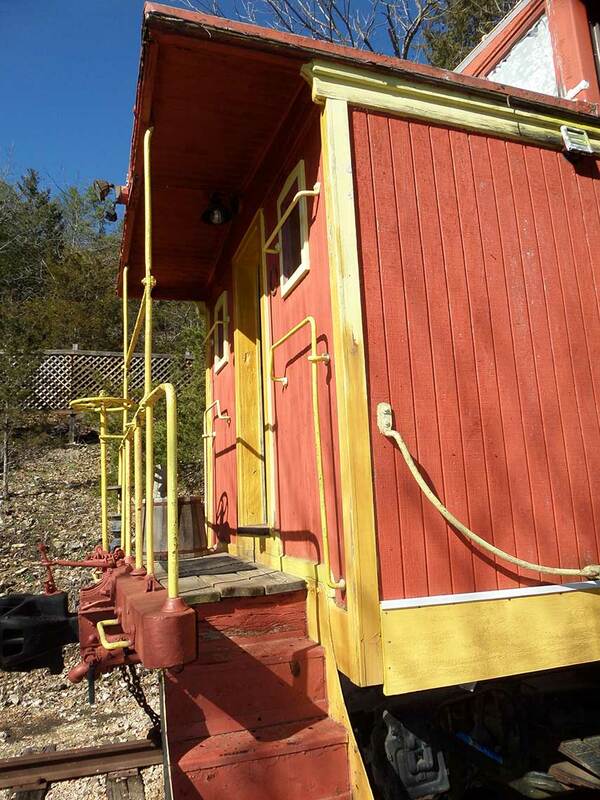 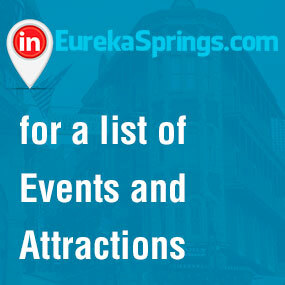 We intend for you to relax with each other or with family while at the Caboose… then get out and enjoy Eureka Springs, Beaver Lake and Table Rock Lake, and all the attractions and entertainment available.